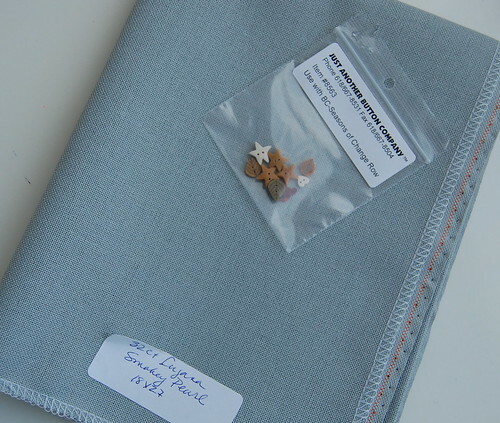 Nicole's Needlework: A Finish and Some Stash! 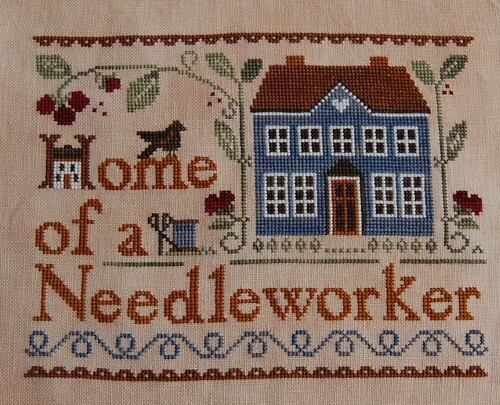 Little House Needleworks "Home of a Needleworker (too!)" 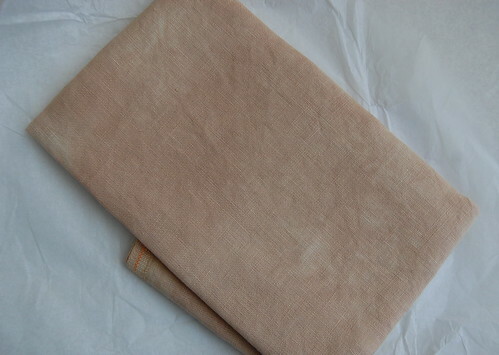 A fat 1/2 of my favorite linen (32 ct. Vintage Examplar) from Elegant Stitch. Now I really need to go out and get this! Great finish! HOAN looks supremely fantastic! I must stitch this one. Congrats on your finish! It's gorgeous!! You are amazing, Nicole - those electric fingers of yours just sail on with speed, girlie! Love the finish and the stash - ah, love new linen!! You really are amazing. You turn out more completed projects than anyone I've ever known. How much time do you spend stitching each day? Beautiful, beautiful work! Congratulations. I got this on order as well. Can't wait to start on it once it arrives. What a pretty finish. I love LHN and this one is on my to do list. You're stitching such a lot Nicole, it's great! I love how HN2 has finished up. You've done a wonderful job with it and I'm loving the fabric too. Nice to see you got an order from Elegant Stitch. :) Fabric stash is always good. Where do you find the best place to buy Lakeside Linen? Beautiful finish Nicole. I also love your L*K finish. So pretty and cheerful. Yet ANOTHER beauty! Congrats on the finish, it's fabulous, as always! Nice finish! I have this one (and the first one) in my stash, but I haven't started either of them. Yours looks great and makes me want to pull mine out and start it! Congrats on the finish and the stash! Lovely! Absolutely lovely! Congratulations on another finish. Love your finish. You make me want to stitch it. The other day I ordered some of those thread drops from Elegant Stitch. Along with another thing. The lady I talked to, I told I wanted some of those "Thread Drops" like Nicole in Florida has on her blog. She goes, Oh, you mean Nicole Nevile. Told her "yes". You are well known. LOL. Congrats on another beautiful finish!! Nicole, what can I say that hasn't already been said by 20 others? Its gorgeous. 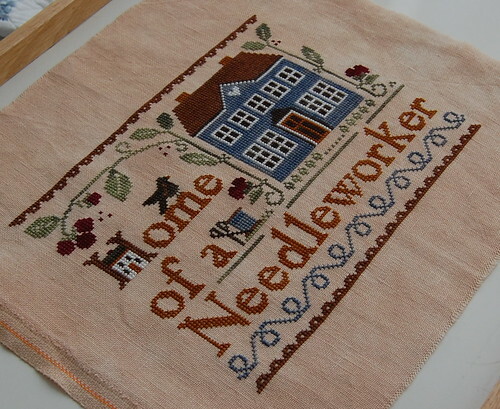 You are an amazing stitcher and I'm so glad I know you. So, besides the LK, whats up next? Congratulations, Nicole! I just picked up the Crescent Colours for this one last weekend, so I hope to get started on it this weekend! HOAN2 is Awesome!! I wasn't going to put this on my wish list, but, seeing yours, I do believe it is a must! Your stitching is sooo beautiful. Congrats on the finish, and the new stash! Hi from Spain Nicole, your blog is absolutely wonderful. I love it very much. I´d like to know whre I can buying the BUNNY THREADS HOLDER... it' s very nice. I see that you are reading Anne of Green Gables. My favorite book by far. If you have a chance please watch the movies that were made with Meagan Follows as Anne. They were made for PBS and were just lovely. Enjoy! Beautiful finish!!! I just love those LHN designs!